Since last many days, cold to severe cold wave conditions have been prevailing in the Vidarbha region of Maharashtra. On the other hand, the two regions of North Madhya Maharashtra as well as Konkan & Goa have been reporting below normal minimums since last three days. According to Skymet Weather, the reason for recording low minimums can be attributed to the presence of cold northerly winds. However, in the coming days, we expect a major change in the wind pattern of these regions. Soon warm winds from southeast direction will start blowing over Marathwada and Vidarbha, which will lead to a gradual rise in the temperature. The rise will also result in abatement of cold wave conditions, providing huge relief to the people here. However, there is no relief in sight for the cities like Mumbai, Pune and Nashik. The adjoining areas of Coastal and North Madhya Maharashtra will also continue to witness drop in temperatures, the reason being a continuous flow of cold winds. Further, a confluence zone is expected to form around February 13. In wake of this system, two opposite winds from north and south direction will meet over Maharashtra. The combination of winds is expected to bring some isolated light rains over Vidarbha, Marathwada as well as parts of Madhya Maharashtra February 13 onward. The intensity and spread of these rains will increase on February 14 with many parts of Vidarbha and a few pockets of Marathwada experiencing rain and thundershower activities. There is every chance of hailstorm at some places in the region. By February 15, we expect intensity of rains to start decreasing and by February 17, the weather will clear up completely over Maharashtra. After experiencing the lowest maximum at 24.2℃ on February 8, day temperature in Mumbai has been on a continuous rise. At present, the maximum is standing at 32.3℃, which is below normal by 1℃. On the other hand, not much change has been recorded in the city’s minimum which is still below normal by a couple of degrees. We expect these conditions to remain intact for the next four to five days. In the wake of this high diurnal variation between day and night temperatures, Mumbaikars will experience warm days followed by cold nights. This season, the city of Nagpur has been breaking all records in terms of minimums. The night temperatures are below normal by a high margin. For instance, the minimum temperature recorded for Nagpur on Monday was 7.6, which is 8 degrees below normal. Maximums too are showing below normal trends. However, the commencement of south easterly winds will help in bringing the night temperatures to its normal level. 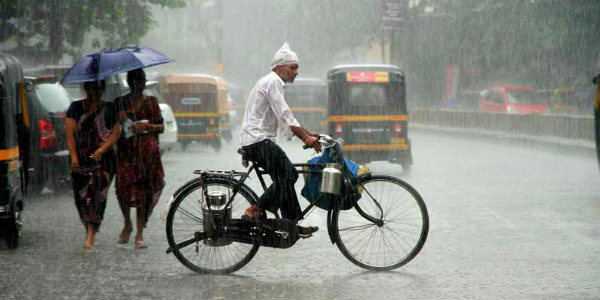 Some rains might also lash the city on February 14 and 15 due to the winds. 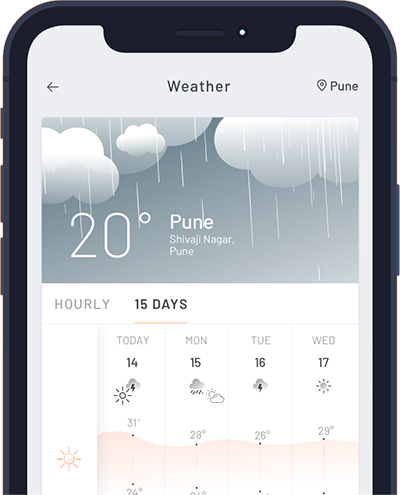 Minimums over Pune has significantly increased in the last two days from 5.1℃ on February 9 to 10.6℃ on February 11. Similarly, minimums in Nashik have also increased from 4℃ on February 9 to 10.2℃ on February 11. The significant increase in minimums has resulted in cold wave conditions abating from these cities.